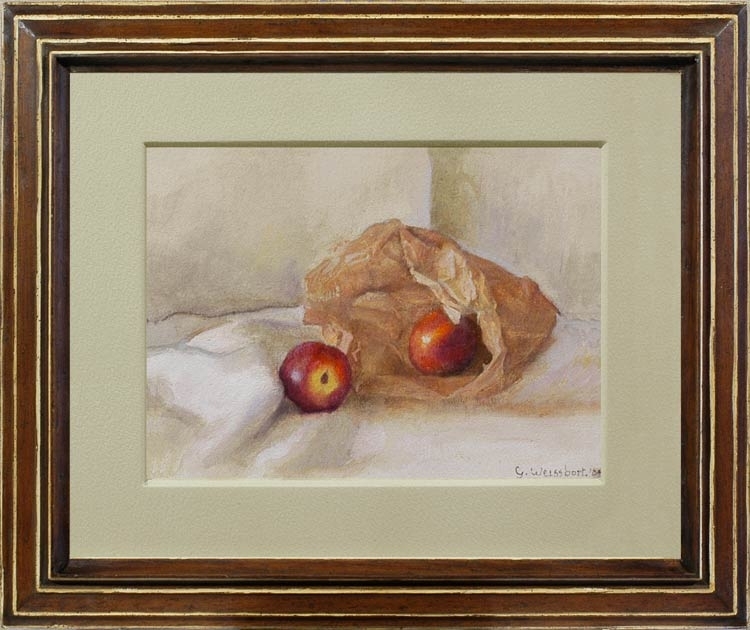 The crumpled paper bag here is a tour-de-force of watercolour painting, and shows Weissbort’s skill at its height – taking, like an Old Master, the common disposable materials of his time (wicker for Chardin – Still life with plums & nuts, 1765, private coll. ; earthenware for Velazquez – An old woman cooking eggs, NG of Scotland) and elevating them to equality with marble, brocade and ormolu. And to do this in watercolour, perhaps the most technically difficult of all media to master, is especially impressive.